We act as credit brokers and we are not a lender. We will introduce you to a limited number of lenders who may be able to help finance your purchase. These lenders may or may not pay us for the introduction. 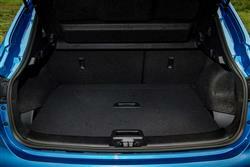 †Includes £1750 Deposit Allowance Paid By Manufacturer. *Excess mileage charge of 8p per mile. If you exceed this annual mileage then excess mileage charges will be applied by the finance provider at the end of the agreement should you choose to return the vehicle. Finance subject to status. A guarantee may be required. Terms and conditions apply. Unless otherwise stated, metallic paint at extra cost. Library image for illustration purposes only. 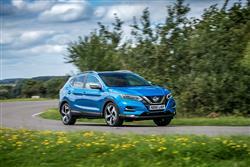 These days, the Nissan Qashqai is sleeker, feels more expensive inside and offers some of the most sophisticated electronic safety technology in the mid-sized SUV Crossover sector. 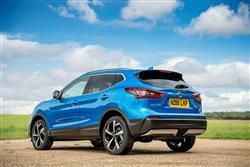 Improvements to the 1.5-litre dCi diesel that most customers choose have enhanced its appeal. Plus there's a revised, more powerful 1.3-litre DIG-T petrol engine and the option of DCT automatic transmission in the front-driven-only range. There's a reason why this Nissan is such a hugely popular contender in the mid-sized SUV segment. Some automotive success stories are easy to predict. We all knew that the Audi R8 was a winner as soon as we drove it. Likewise, the Fiat 500 couldn't possibly fail once it made it to the showrooms virtually unchanged from the fantastic Trepiuno show car. But the Nissan Qashqai? That this unprepossessing vehicle should rack up some huge sales came right out of left field. Its predecessor, the Almera, could have been a synonym for mediocrity. Nissan played a really smart move though. They tore up the established supermini/family hatch/family saloon rulebook and started flooding the market with crossovers and SUVs. Some, like the Murano and the Pathfinder, never gelled with the public. 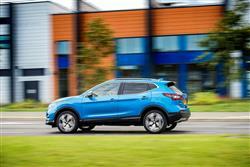 Others, such as the X-Trail and the Juke, hit the targets. 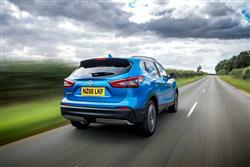 Then there was the Qashqai, which in 2007 found itself challenging the biggest-selling hatchbacks in the sales charts. A second generation version was launched in 2013 and this car has since been tweaked and upgraded to keep it competitive against an army of mid-sized Crossover rivals. On the face of things, not much has changed on this Qashqai in recent years in terms of its drive dynamics, though Nissan insists that under the skin, modifications to the suspension, damping and steering systems have resulted in a more refined on-the-road experience, plus refinement's better too. 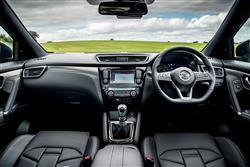 The range is now focused on front wheel drive, with suspension calibration performed in Europe to suit European tastes. Across the range, there's Active Trace Control which monitors the behaviour and trajectory of the car, and applies subtle braking to deliver a function similar to a Limited Slip Differential, providing the best traction and the least understeer. There's also a dual mode steering system which changes the weighting of the electrically-assisted rack when you select the Sport setting. Engine-wise, buyers get the choice of two downsized petrol units and two turbodiesels. The petrol powerplants comprise an 1.3-litre DIG-T offering that drives through a six-speed manual box with 140hp - or is offered with manual transmission or a DCT automatic when it has 160hp. 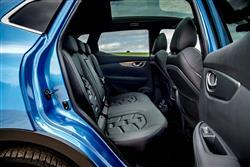 Most customers will doubtless be drawn to the 115hp 1.5-litre dCi diesel, which comes with manual or auto transmission. 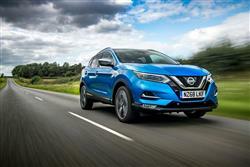 The package of styling updates that Nissan introduced for Qashqai buyers in 2017 smartened this second generation design up considerably and included a completely revised front end incorporating the latest Nissan 'V-motion' grille. The headlamps were also revised with a classier version of the 'boomerang' Daytime Running Light signature. At the rear, the car's instantly recognisable 'boomerang' light motif is extended across the whole lamp, and includes a contemporary 3D lens effect to enhance the signature shape. If you haven't tried a Qashqai since this second generation version was launched in 2014, you'll notioce quite a few changes in the cabin too, where an improved layout, higher-quality materials and more advanced technology feature. 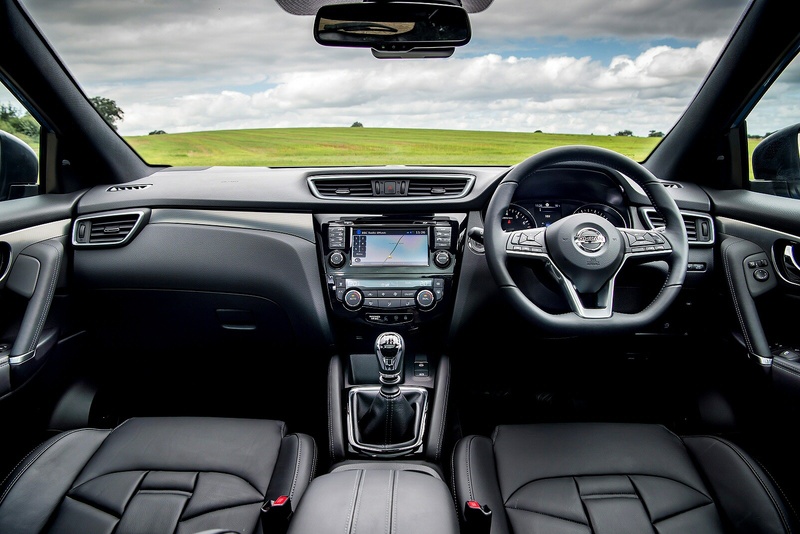 The 'NissanConnect' infotainment system features a more intuitive user interface and there's a smarter D-shaped multi-function steering wheel with premium satin-chrome inserts. It features a four-way controller for the combimeter display, for easier use and less 'eyes off the road' time. The range-topping Tekna+ grade includes supportive seats trimmed in high-quality soft nappa leather and a popular option for music fans is a BOSE seven-speaker premium sound system. 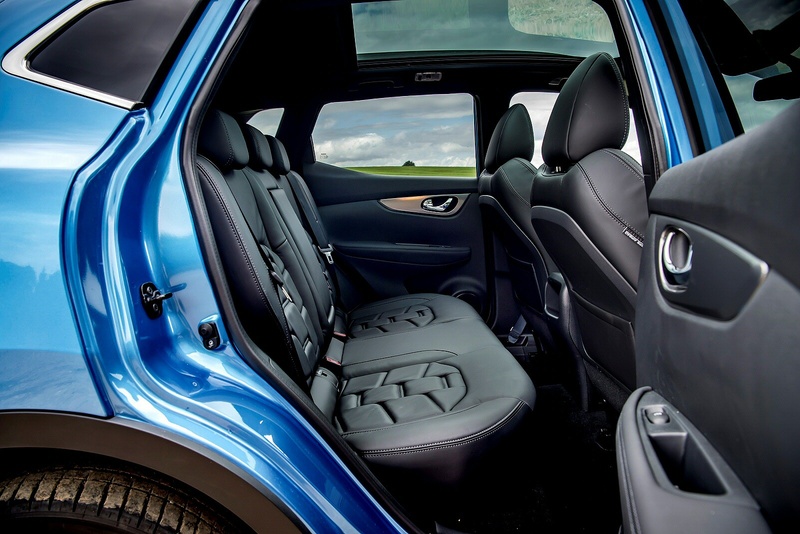 Practicality is as good as ever, with reasonable space in the back and decent headroom thanks to a relatively low seat height in the back. 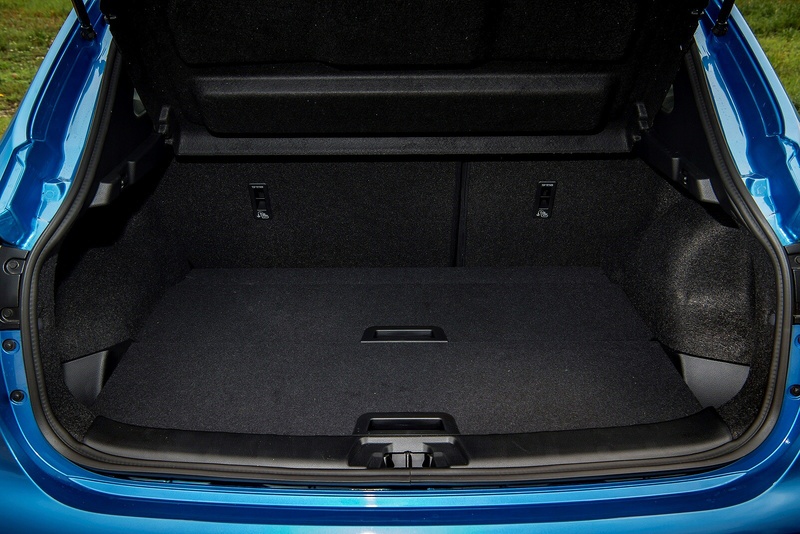 Boot space is 430-litres and load space flexibility is enhanced by a dual-floor system designed to provide a flexible and versatile load space. Prices start at around £20,000 and stretch to just over £31,000 for the range-topping diesel version. The trim walk-up shouldn't spark too many surprises either, starting with 'Visia' grade and finishing with a plush 'Tekna+' variant at the top of the range. Even the entry-level model gets a decent bash at the equipment list, being furnished with cruise control, a stereo with USB and Bluetooth, heated body-coloured mirrors, air conditioning, stop/start and hill start assist. It also gets the usual safety features like ESP stability control, ABS brakes with electronic brakeforce distribution and front, side and curtain airbags. 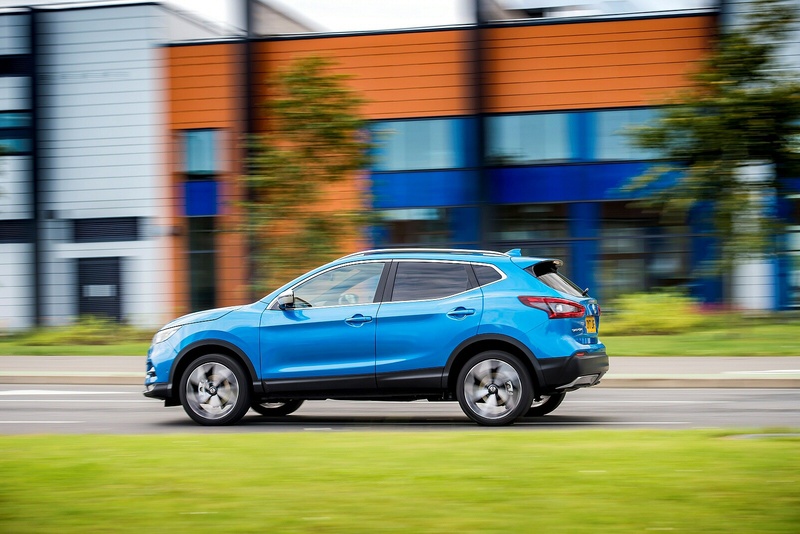 Safety-wise, there's an 'Intelligent Emergency Braking' system that features Pedestrian Recognition, plus 'Rear Cross Traffic Alert', to mitigate the risk of low-speed impacts when reversing out of a parking space, is now available on Qashqai for the first time. 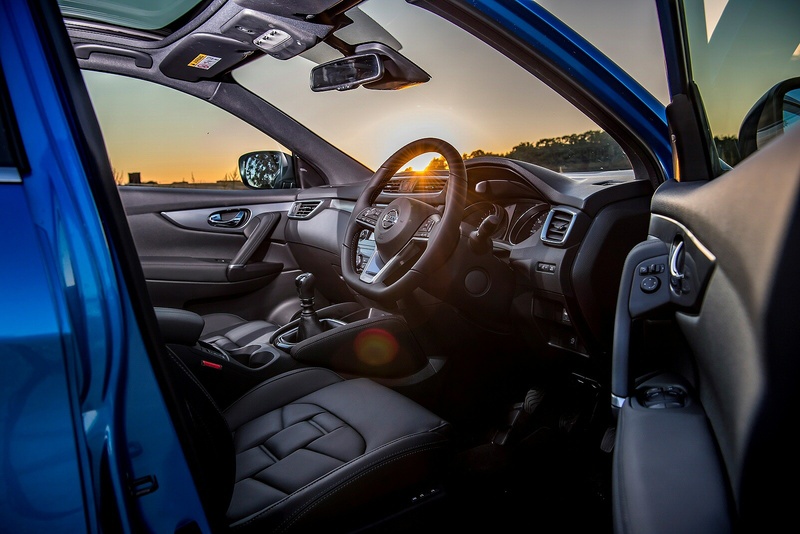 The car continues to be offered with Traffic Sign Recognition, Driver Attention Alert, Intelligent Park Assist, Intelligent Around View Monitor, Blind Spot Warning and Lane Departure Warning. And buyers will now be offered the option of 'ProPILOT' autonomous drive capability. Controlling the steering, acceleration and braking in a single lane on highways, this will provide consumers with more control of their vehicle and a more confident drive, plus greater freedom when they want it, whether during heavy traffic congestion or high-speed cruising. The 1.3-litre DIG-T petrol engine manages up to 121g/km and up to 41.4mpg in both its guises with manual transmission; a 1.3 DIG-T 160 DCT auto manages up to 122g/km and up to 40.7mpg. For the dCi 115 manual, the figures are up to 100g/km of CO2 and up to 53.3mpg for the manual model and up to 106g/km and up to 53.7mpg for the DCT auto. 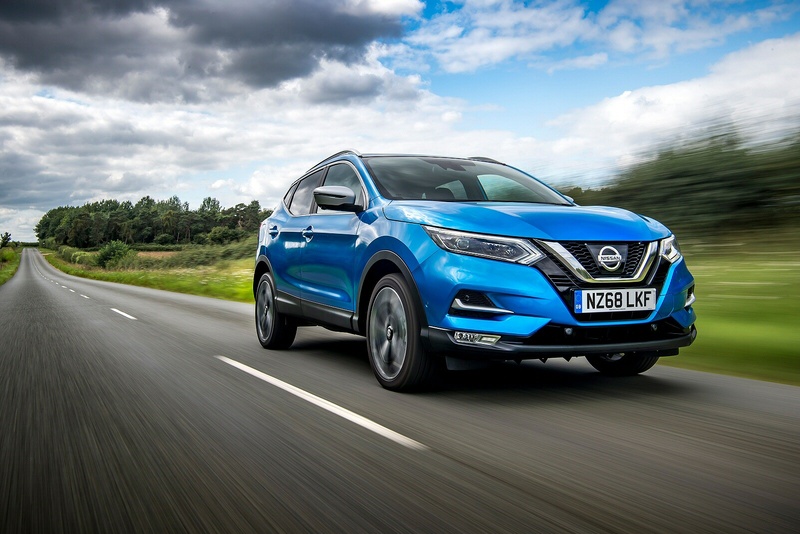 As well as fitting stop/start systems, reducing engine frictional losses, optimising gear ratios and reducing weight where possible, Nissan has also devoted a great deal of attention to the Qashqai's aerodynamics. With a drag co-efficient of 0.32, it cleaves the air very well for a relatively high vehicle. From the elements on show such as the roof spoiler with winglets, to those hidden away like the flat floor design, there's some clever thinking at work here. Another innovation is the Active Grille Shutter system. This closes off airflow through the radiator when not needed. The grille shutter automatically shuts at speeds over 20mph and only opens if sensors detect that the engine needs cooling. 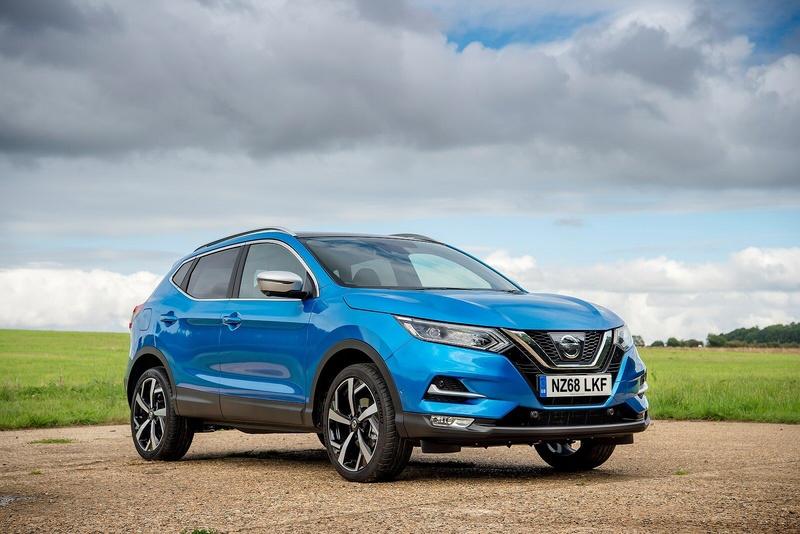 If you�re looking for a new Nissan Qashqai 1.3 DiG-T 160 N-Connecta 5dr Petrol Hatchback for sale, you�ve come to the right place. 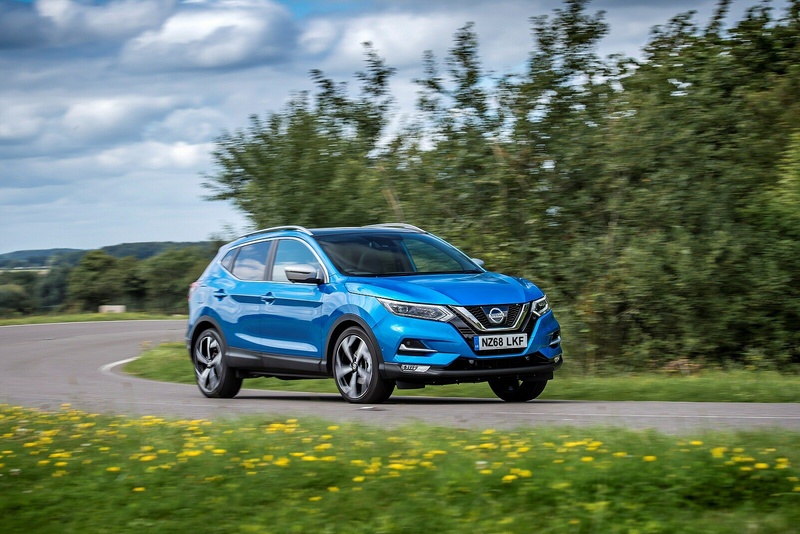 At Bristol Street Motors we don�t just have the best Nissan Qashqai 1.3 DiG-T 160 N-Connecta 5dr Petrol Hatchback deals, we also offer friendly advice and help with all your enquiries to ensure your buying experience is a happy experience.